The 2B Mindset program by Beachbody is unique in its approach to weight loss because it focuses on what you CAN eat instead of what you can’t. The idea is that you gradually change how you think about food and you will lose weight without feeling hungry or deprived. You can go out to parties and restaurants without bringing pre-measured containers. You can have a big family meal and eat what you want as long as you follow a few straightforward rules. These rules make it easier to find enjoyable 2B Mindset recipes with ground beef or with any meat. Enjoy these delicious 2B Mindset recipes with ground beef and lose weight without feeling deprived of hungry. The rules come in by way of the Plate It system for meal planning. 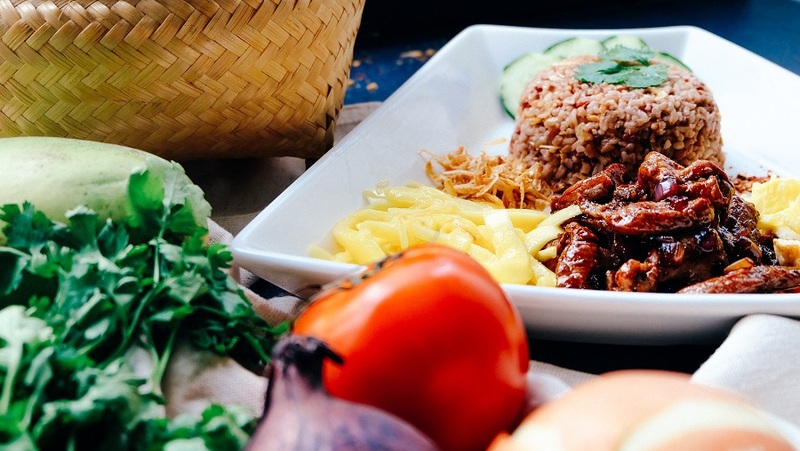 With the right combination of Proteins, veggies, and carbs at the right time of day, you can say yes to your favorite foods and maximize your energy and reach your weight loss goals. Where 2B Mindset is similar to every other diet you have looked at is in the planning. Meal planning is key to staying on track. 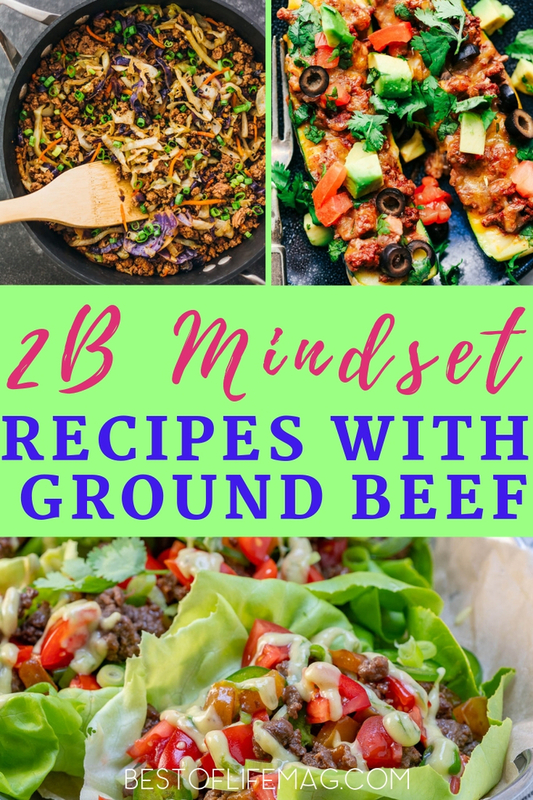 If meal planning is what trips you up, check out these 15 2B Mindset recipes with ground beef to get you going. Be sure to print out your food lists and Plate It recap before you get started. 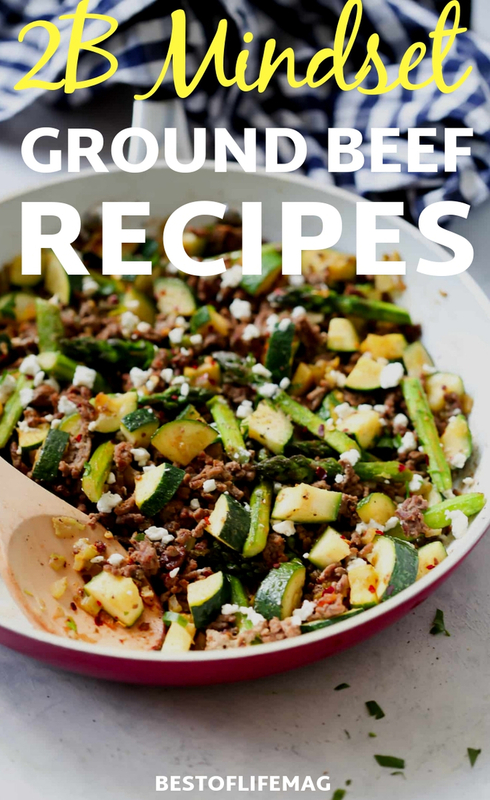 Once you have done that, all of these 15 delicious ground beef recipes are 2B Mindset compliant. You can get to meal planning and prepping with ease. Just remember which meal you will use the recipe for. For example, corn, which is an FCC is allowable at lunch but you want to leave it out or go with another recipe if you are prepping for dinner. Keep your lists handy in your kitchen and you can’t go wrong. These 2B Mindset recipes with ground beef are easy to prep and will have you feeling full, satisfied and getting those goals!